The global market for gingivitis diagnostics and therapeutics is expected to witness growth at a significant rate in the next few years owing to factors such as the rising number of smokers, women of reproductive age, and obese people across the globe. The market is highly dynamic in terms of technologies used for diagnosing and treating gingivitis, one of the most common periodontal conditions affecting billions globally. The market is presently witnessing a significant focus on the development of regeneration therapies capable of generating lost periodontal tissues, a feat that has proven to be far more complex than research studies predicted. Although significant development has been observed in the field in terms of the variety of products and treatment technologies available in the market presently, dental clinicians still resort to treatment options that primarily target healing and diseases cessation. Nevertheless, there are several new treatment methods that are in their evolutionary phases, which in the next few years could be able to prove a vital way of regenerating the periodontium or at least lead to limited regeneration. While the commercial availability of any new regenerative gingivitis treatments will mostly decide their potential of succeeding in the gingivitis diagnostics and therapeutics market, the way diagnosing technologies develop will also be a key determinant of the success of regenerative therapies. The correct diagnosis of periodontal diseases is not as straightforward as the diagnosis of other dental conditions. It requires development of diagnostic tools that demonstrate a high level of sensitivity and specificity. Smoking makes consumers more vulnerable to bacteria that causes gingivitis. It is estimated that there are approximately 1 billion smokers in the world at present. Thus, the increasing number of smokers across the world is providing a significant push to the global gingivitis diagnostics and therapeutics market. Oral health is a growing concern across the globe. Swollen gums, redness in gum, receding gums, and persistent bad breath are some of the symptoms of gingivitis. Late stages of the disease, when left untreated, may lead to periodontitis, causing an irreversible damage. 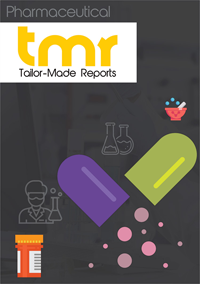 This market intelligence report provides an in-depth analysis of the global gingivitis diagnostics and therapeutics market and its affiliated industries. It serves as a professional study that includes a detailed description of the various critical parameters of the market including its dynamics and competitive landscape. It offers insights into the statistics pertaining to the market at both regional and global levels. It profiles the key players in the market along with their market shares, revenue generation, business strategies, and latest developments. It includes SWOT analysis that aids in deriving the potential growth trajectory that each key player will experience. For a coherent understanding, the report segments the market on the basis of various criteria including treatment and geography. Changing lifestyles are leading to shift in dietary patterns that boosting the chances of gingivitis, thereby triggering the demand for gingivitis diagnostics and therapeutics. The rising number of women of reproductive age is also augmenting the market, as women belonging to this category are more susceptible to oral issues. Another factor working in favor of the growth of the market is the increasing number of obese people across the globe. However, the low awareness regarding the diagnostics and therapeutics of the disease along with the reluctance regarding the disease is hampering the growth of the market. Moreover, the complete treatment of the disease can be slightly unaffordable for patients belonging to low and medium-income groups, thereby negatively influencing the growth of the market. Nevertheless, the increasing government initiatives regarding educating common masses about oral health are likely to bode well for the growth of the global gingivitis diagnostics and therapeutics market in the near future. Gingivitis is a mild form of gum diseases and hence daily flossing, brushing, and regular cleaning by a dentist is the most widely adopted treatment option. Some of the other commonly adopted treatment options by dentists are dental cleaning for plaque and tartar to removal, regular dental checkups and cleaning, and regular crowns or fillings fixing (dental restorations). Crowns can be effective, however, their high cost is limiting their widespread operation. The majority of the players in the global gingivitis diagnostics and therapeutics market are increasingly focusing on enhancing their pipeline. Several players are also collaborating with government bodies to spread awareness about gingivitis treatment. Some of the prominent players in the market are General Biologicals Corp and TGV-Laboratories.